Riotinto, in Spain, is a unique place on Earth: a mine park with the same morphology as the ground of Mars. 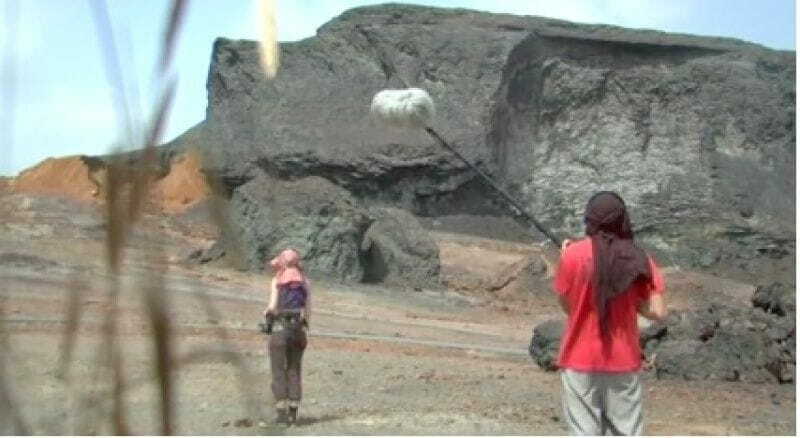 There are several characters wandering about, including a NASA scientist who describes the wonders of such a unique place on Earth, two sound engineers who try to capture its mysterious sounds, a lonely miner wandering among the buildings of an abandoned mine, and a bizarre character who looks like coming from another age. The site favours the encounter of diverse characters, but also of opposed cinematic gazes and beginnings of stories and fables. A mysterious film mixing fiction and documentary approach, real and fairy-like characters, science and science fiction.